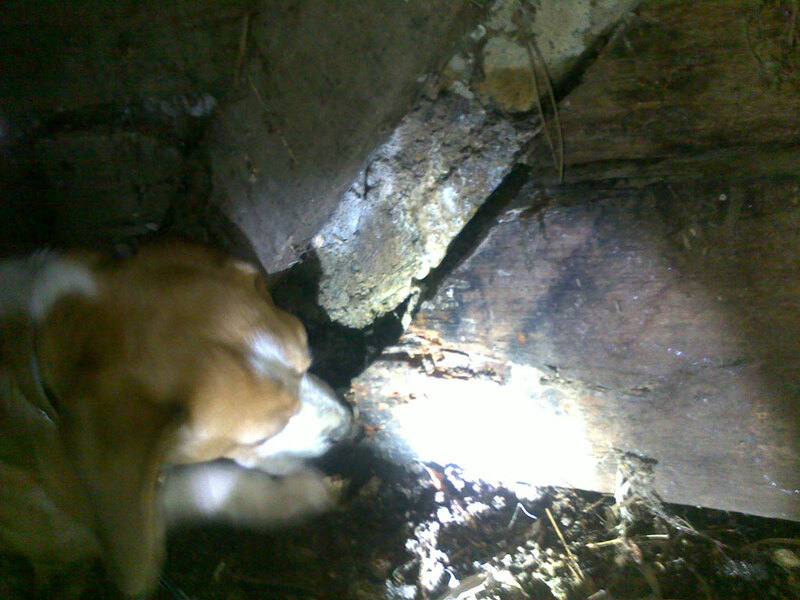 Termite detection dogs were used in conjunction with conventional inspection. 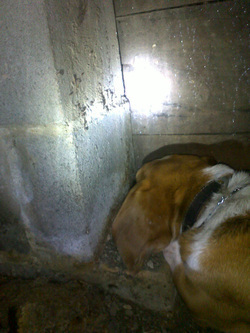 Positive indication by termite dogs of live termite activity in various locations was observed and confirmed visually. 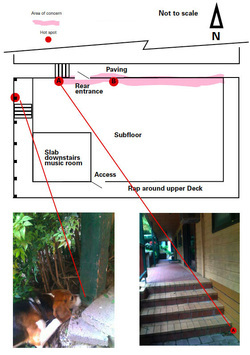 Attached is a plan referenced by photos indicating were live termite activity was found. There appears to be a substantial infestation along red gum sleeper retaining wall in the subfloor on N side of home. 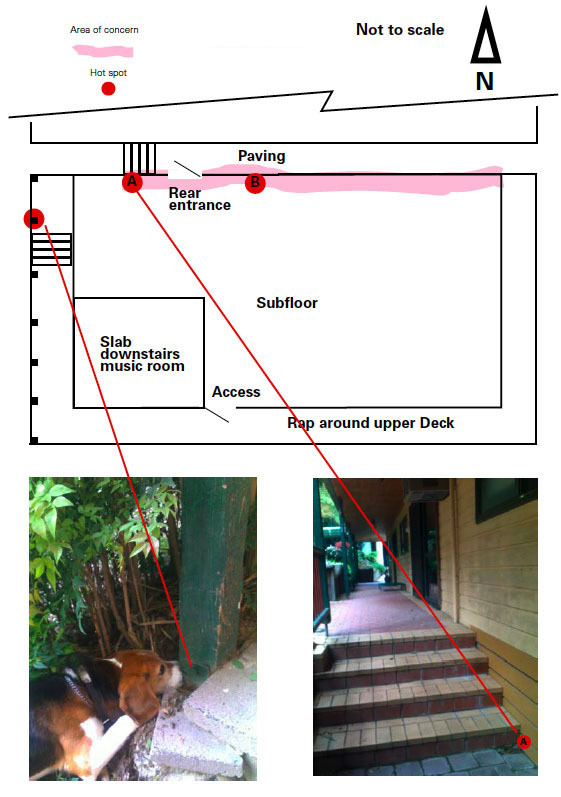 Attacked also is the bearer running parallel with sleeper wall directly under sliding door and verandah post on the W side of the home next to stairs. Post mentioned is severely damaged and needs replacing. Paving on N side of retaining wall is creating a void sheltering prime habitat for termite activity. Extensive moisture is moving through void mentioned and into subfloor saturating sleepers and enhancing dampness of other timbers.